Time to be a hero! As one of the DFRobot classics, the Hurt Locker Kit allows you to make a scary looking time bomb that you can actually "defuse" with wisdom and courage. It is based on Arduino and is very fun to play, especially in festivals and gatherings. After assembly, press the start button and then you will see two colors flicker in sequence. Do not forget them and quickly look up the third color with the color sheet in your hand. Remember you've got only 15s! 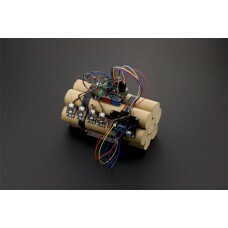 There are 6 colored wires across the top of the bomb and you have two attempts to get rid of the correct wire. If you fail, things will end up in a loud blow (balloon). 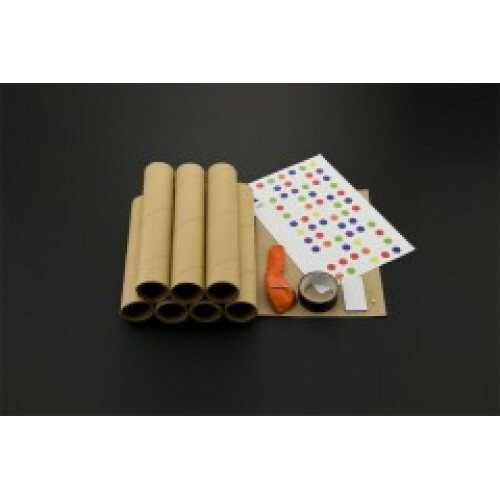 No soldering is required with this kit, our intuitive user manual will guide you effortlessly with assembly. Only few minutes and you are ready to take the challenge!